Getting a business acquisition loan is a very important part of the process for those looking to buy a business. If you want to buy a business, there is no shortage of opportunities out there. There are businesses for sale everywhere you look. Most of the time, these businesses require quite a big investment to purchase. Most people do not have enough cash on hand to make the purchase, but they still want to go through with the deal anyway. This is where a business acquisition loan can come in handy. Here are a few tips for getting a business acquisition loan successfully. Getting a partner to go into business with will make things a lot easier on you financially. If you choose a partner with a good credit score, it will help your chances of getting approved for the loan. When you apply for a business acquisition loan, the lender is going to look at the credit scores of the applicants with a lot of importance. If your credit score is a little lacking, they will turn to your partner and look at theirs. If your partner has a good credit score, it can help balance out a bad one from you. 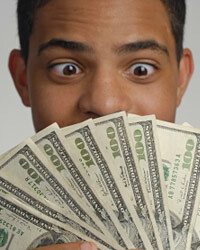 The lenders look at those with good credit scores as those that can be trusted with money. Therefore, they usually want to see someone with a good credit score involved. The more cash that you have for a down payment, the better off you will be when trying to get a business acquisition loan. You need to make sure that you have something that you can use for a down payment. On most commercial loans, the bank is going to require at least a 20% down payment. If you do not have enough for the down payment, it may be difficult to get a loan. When the bank makes you pay a down payment, they are making sure that you have some personal money at stake in the deal. If you did not have to make a down payment, you may not care if the venture succeeds or fails. This way, you will have a lot invested and you will tirelessly work to make sure that the business succeeds. When looking for a business acquisition loan, you need to make sure that you shop around for the best rate. When you are looking for a loan, you want to get the best deal that you can get without giving up any customer service to get it. By shopping around, you make sure that you look at all of your available options. You want to find the lender with the best rate, the lowest closing costs, and the best customer service. You are going to be working hand-in-hand with this lender for a long period of time. Therefore, you need to spend some time making sure that your relationship is going to work out.